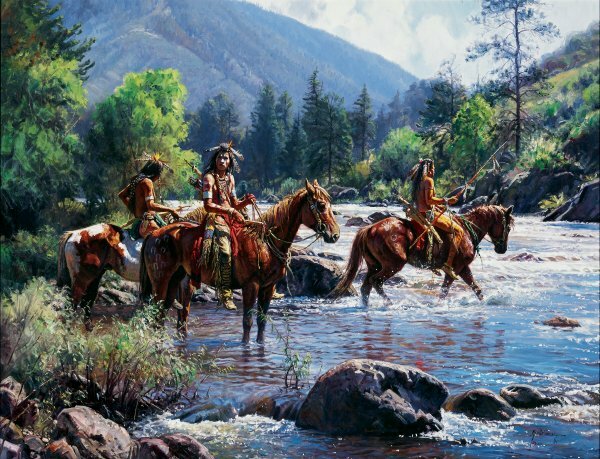 Cautious Crossing by Martin Grelle ~ No artist uses color better than Martin Grelle. "Cautious Crossing" is one of his most beautiful pieces. The deep, blues and purples contrast with the shimmering water and the warm tones in the riders and horses. It's beautiful, dramatic and peaceful.